Tully Makker is a tough young woman from the wrong side of the tracks and she is not always easy to like. But if Tully gives friendship and loyalty, she gives them for good, and she forms an enduring bond with Jennifer and Julie, school friends from very different backgrounds. As they grow into the world of the seventies and eighties, the lives of the three best friends are changed forever by two young men, Robin and Jack, and a tragedy which engulfs them all. Paullina Simons was born in Leningrad, USSR in 1963. At the age of ten her family immigrated to the United States. Growing up in Russia Paullina dreamt of someday becoming a writer. Her dream was put on hold as she learned English and overcame the shock of a new culture. After graduating from university and after various jobs including working as a financial journalist and as a translator Paullina wrote her first novel Tully. Through word of mouth that book was welcomed by readers all over the world. She has since written Red Leaves, Eleven Hours, The Bronze Horseman, The Bridge to Holy Cross, (also known as Tatiana and Alexander.) The Summer Garden, The Girl in Times Square and Road to Paradise. 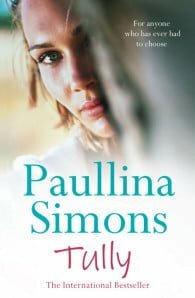 Many of Paullina’s novels have reached international bestseller lists in countries including Australia and New Zealand. Apart from her novels, Paullina has also written a cookbook, Tatiana’s Table, which is a collection of recipes, short stories and recollections from her best selling trilogy of novels, The Bronze Horseman, The Bridge to Holy Cross, (also known as Tatiana and Alexander) and The Summer Garden.